Welcome to another week. This one’s way better than last week which was so three minutes ago. 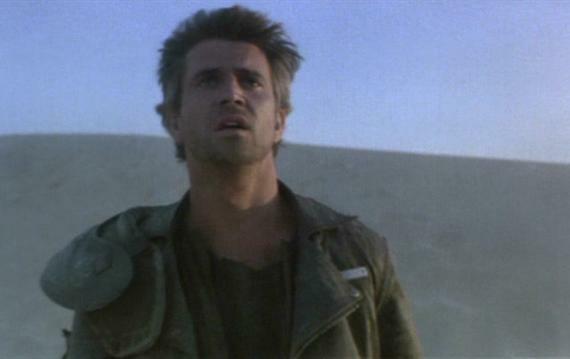 Before that, when I was a kid, my mom introduced me to Mad Max, a dusty trilogy of post-apocalyptic westerns. I don’t remember the how’s, or the why, I just remember my mom had a crush on Mel Gibson and would often shake her head at the oddity of a woman seemingly so gentle, and against violence, finding such joy in films that carved bone from flesh. Guess I’m just crazy, she said, and she was, and that could be quite frustrating, at times, but in her love of certain things I think her presumed insanity was really just a cover for enjoying things that, perhaps, she wasn’t supposed to enjoy. But, here’s the thing with those Mad Max films. They were not a mindless celebration of violence, so much as a celebration of the fight, and, in fact, the very fast running away to avoid fighting. There was, amidst the so-called psychopathic violence, some bit soul, some moral compass, to those films. The world was a scorched, weary, violent place, and here was this man, made mad by the loss of those he loved to a world grown increasingly more violent, who was left just trying to survive. I think my mom found something, whether she knew it or not, in the story of a man with the weight of a lost world on his shoulders, carving a lonely path, the weight of his past holding him back even as it pushed him forward. I think she loved the love Max sought, and sometimes discovered, in the wake of having lost everything. That was, at least, part of Mom. She could be gentle, and she could be mad, and it did very much seem like, from time to time, the weight of some lost world would visit her shoulders. Later this week, I’ll be seeing Mad Max: Fury Road. I’m so excited and so full of thoughts of Mom and what she would make of a Max not played by Mel. I think, considering what people are saying, she would have loved it. I think she would have found its rebellion led by women something to cheer. I think, perhaps, she might have developed a crush on Tom Hardy, or, who knows, Charlize Theron. We’ll see. Here’s something A.O. Scott said of this most recent version of Max. Even in the most chaotic fights and collisions, everything makes sense. This is not a matter of realism — come on, now — but of imaginative discipline. And Mr. Miller demonstrates that great action filmmaking is not only a matter of physics but of ethics as well. There is cause and effect; there are choices and consequences. This captures, a bit, of what maybe Mom, and certainly I, have grown to appreciate in Miller’s post-apocalypse. Of the past, of action, of consequence. It’s a mistake a lot of action movies make, allowing their pace, and their explosions, and their BAM/POW to escape gravity when really it’s the gravity of things that holds it, and us, all together.